Convenient locations and fast service are what consumers say convenience stores provide best in an increasingly competitive retail landscape. Nearly two in three Americans (64%) say they live within 5 minutes of a convenience store, according to a new national consumer survey released by NACS. Even in smaller towns convenience stores are nearby: 86% of Americans in rural communities say they are within 10 minutes of a store. Convenience retailers looking to stay ahead of the competition and continue delivering customer experiences that exceed expectations will be among the more than 24,000 convenience store industry stakeholders convening in Las Vegas for the annual NACS Show, taking place October 7-10. Convenience stores sell approximately 80% of the fuel purchased in the United States, and nearly half of all gas customers (48%) also go inside the store when they’re buying gas for easy one-stop shopping. Whether hot coffee or cold beverages, consumers think drinks first when going in the store: 53% say their prime reason to go inside is to buy a beverage. The time consumers spend in stores also is incredibly fast. Half of all consumers (45%) say they are in and out of the store with a purchase in 3 minutes or less. It’s for these reasons that convenience stores are considered the fastest location to buy something to eat or drink, with consumers selecting convenience stores over fast-food restaurants as the shortest wait times in lines by a 2-to-1 margin (35% vs. 18%). 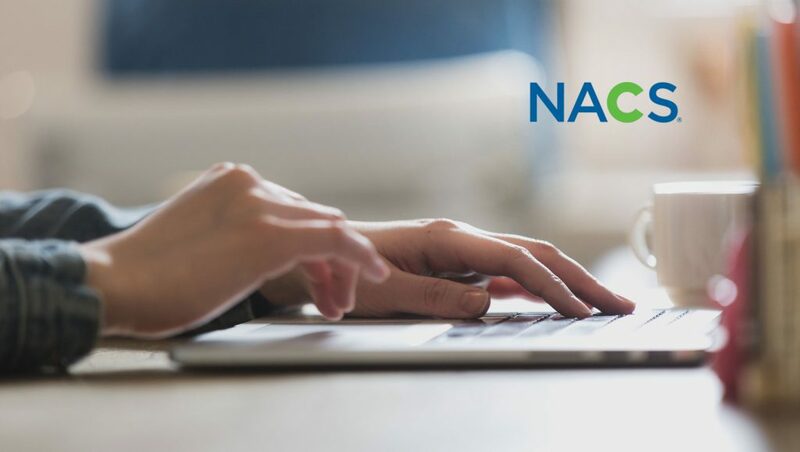 NACS consumer surveys also suggest that consumers are looking to save even more time inside the store, with 92% of respondents saying they’d be interested in using automatic check-out technologies, and 67% saying they’d like to try same-day grocery delivery. Sixty-seven percent of survey respondents said they’d like to pick up their online shopping orders (for example, Amazon or eBay) at a physical c-store location. This year at the NACS Show there are more than 60 education sessions and 1,200-plus exhibitors focusing on pushing the boundaries of convenience retail and unveiling ways that offer shoppers reduced time through an enhanced experience. And Las Vegas and the 24-hour convenience store lifestyle are a perfect fit. After all, the first 24-hour convenience store opened in Las Vegas, in the summer of 1963. Convenience stores are developing innovations through store design, technology, services and on-the-go food options. And, because the 155,000 convenience stores in the United States represent 34% of all brick-and-mortar retail in the country, it’s likely these innovations will be coming soon to communities across the US—and the world. Convenience retailers understand the value of making first impressions, beginning with a clean and well-lit store. Now, more retailers are enhancing the appearance of a traditional c-store “box” with an overall design strategy. In some cases, that means considering radical reinventions like separating the convenience side from the foodservice side—or even housing multiple food brands under one roof like a food hall. At the 430,000-square-foot NACS Show expo – the largest in Show history, many exhibitors will showcase store design consultancy and solutions; interior and exterior lighting solutions; coolers and refrigeration fixtures; and food prep and equipment from ovens to fryers and steamers, to cook tops to soup kettles, juicers, grills and cook-and-hold units. Education sessions also will feature industry design experts who will help retailers use store design to support their operating strategy, capabilities and vision. Technology is rapidly changing the way convenience and fuel retailers operate their business. In fact, many retailers believe that new technologies can help their core consumers embrace a digital lifestyle. As this new environment rapidly advances how convenience stores serve their customers, NACS and its technology-focused spinoff organization Conexxus are offering a highly specialized track of education sessions at the NACS Show called Tech Edge. Sessions focus on topics such as artificial intelligence, mobile applications, frictionless solutions, price optimization and staying ahead of the digital consumer’s needs. Most of all, convenience stores sell convenience, allowing customers to quickly buy what they need and get on with their day in 3 minutes or less. As the need for convenience grows, so are time-saving services. Education sessions will focus on last-mile delivery services and touchscreen ordering kiosks for customizable foodservice options so that convenience retailers can increasingly bring new services into their stores for time-starved customers to create a next-level foodservice program. In addition, more than 20 companies will showcase innovations in car wash solutions, systems and equipment. Convenience stores sell immediate consumption items: 83% of in-store merchandise is consumed within one hour of purchase. Meeting consumers’ need for snacking on-the-go, exhibitors at the NACS Show expo will showcase items that neatly fit in a car’s cup holder—after all, 8% of millennials say they’ve used their car’s cup holder for food over the past month. New product innovations are delivering cup-holder-sized packaging for everything from, literally, soup to nuts and also fresh deli salads and yogurt, confections and mints. As more healthy-minded consumers rely on protein products to help boost their energy levels throughout the day, many new products hitting c-store shelves satisfy taste buds while packing protein, whether traditional products like cheese, nuts, hard-boiled eggs and jerky or protein-enhanced products, whether beverages, potato chips, snack cakes, cookies and energy bars. At the NACS Show expo, convenience retailers can explore many of these new products from nearly 80 nutritional-focused snacking companies.